Motorola is expected to announce a follow-up to last year’s Moto X at a press event next week, and today it looks like we may be getting one more peek at the rumored smartphone before its official launch. 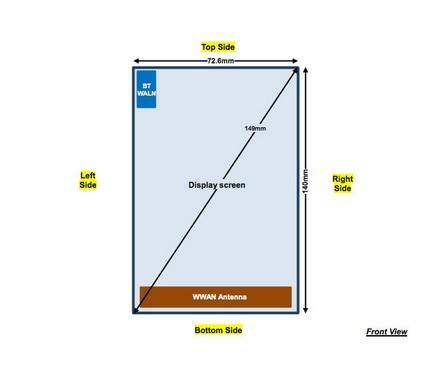 A new FCC filing spotted today appears to show the AT&T LTE variant of the Moto X+1. Unfortunately the FCC isn’t interested in much beyond the new smartphone’s antennas, which is how we know the device is headed to AT&T. Based on recent leaks the Moto X+1 is expected a 5.2-inch 1080p display, a Snapdragon 801 or 800 processor and a 12-megapixel camera. We’ve also heard the new device could add optical zoom and 3D recognition. With Motorola’s big event less than a week away it shouldn’t be much longer before we get an official look at the company’s new flagship phone, though at least now we know it will be available on AT&T’s LTE network. TechnoBuffalo will be covering the big event live from Chicago, so be sure to check back on Sept. 4 for all the Motorola news we we can handle.